A short list of our more prestigious clients and beautiful installs ~ check back often as we add more! 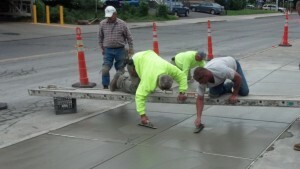 Pouring Concrete Sidewalks: Sometimes they aren't easy to get to. 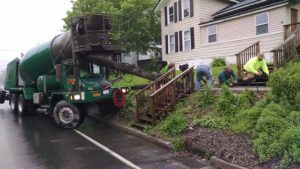 Using our Onondaga County blanket contract for concrete sidewalks and flexible porous pavement, the Village of Camillus was able to hire us in to replace numerous sidewalks throughout the village. We even used pervious concrete as a base for their porous brick pavers. 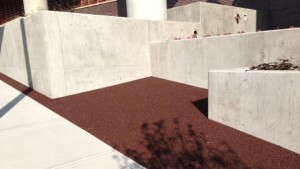 The porous concrete allows the rain water to pass into the ground and gives the brick a stable base. A collection of our smaller but just as noteworthy projects and solutions. 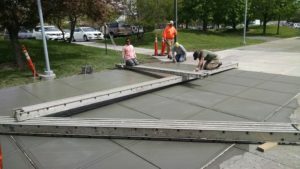 In the Summer of '14 EPS was hired to rip out and replace sidewalks in front of the YMCA, Gordon Student Center and SRC Arena on the Onondaga Community College campus. Take a look at a small snippet of the work we completed here. The residential market is a smaller aspect of our work but never less important. We take pride in all of our installations and it shows. 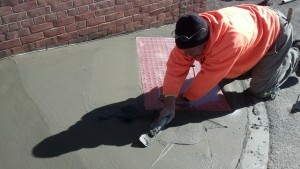 Between the Flexi-Pave® in the village and concrete sidewalks throughout the residential areas, we keep busy. With such a tranquil location and residents who are easy to work with, we love working in Liverpool. Keep the work coming! 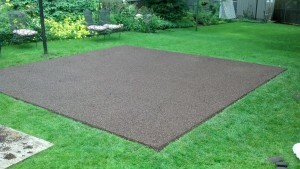 Rochester knows all the benefits of Flexi-Pave® and they love it! We have installed projects all over the city. Take a look at some of our work. We removed the crumbling, existing sidewalks and added new concrete sidewalks throughout the site with accent areas of Flexi-Pave® to make the area look great, to mitigate tripping areas and allow storm water to feed the beautiful trees that adorn the entrance. Onondaga County hired EPS to replace sidewalks around both the War Memorial and Convention center. 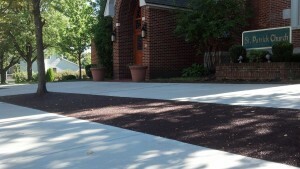 This project included WalkWay (our fine grain pervious concrete mix), Flexi-Pave® and concrete sidewalks. 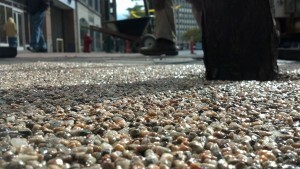 WalkWay was installed as a demonstration of how well our mix holds up in the high traffic and high salt used in downtown. 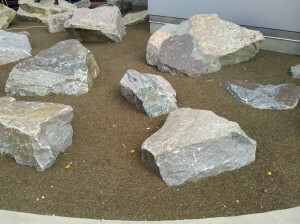 Flexi-Pave® and Flexi-Stone® were placed around trees on the north side of the convention center and the concrete sidewalks were installed throughout. This area is truly a showcase of our work. 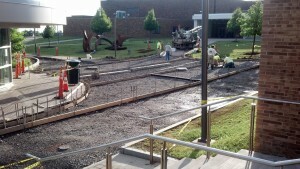 Our gallery of concrete sidewalks installed at Syracuse University. Flexi-Pave® really accents this area as it softens the strength of the wall and brings some color to the drab concrete. In the winter this will act as the snow storage area and safely return the water to the ground and prevent icing on the sidewalk. 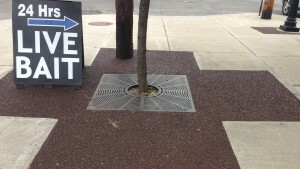 The City of Syracuse was looking for a product to replace their current system of either tree grates or pea gravel around trees in the sidewalks. The tree grates would lift causing a tripping hazard. They also choked the tree as it grew and collected trash and cigarette butts which led to a constant eyesore or maintenance headache. 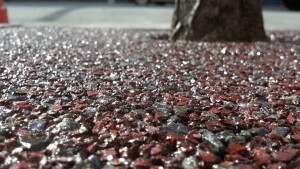 Flexible Porous Pavement was used as a pilot program to test its attributes against other resin bound surfaces.